Vehicle tracking consists in monitoring the location of any moving vehicle by applying a tracking device to a vehicle―e.g., a GPS tracker. It is the core of fleet management system operations, enabling companies to track the position of their vehicles in real-time as they transport goods. 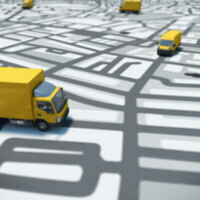 While every vehicle tracking system provides information about the location of the fleet, some vehicle tracking devices can help performance monitoring and maintenance of the vehicle, thanks to the collection of data such as speed, fuel consumption, tire pressure, engine temperature, the number of stops and much more. If you wish to purchase a vehicle tracking system for your business or are interested in comparing prices and reviews in the UK, please complete the quote request form at the top of the page. Market Inspector provides a free service and our suppliers will help you find the best vehicle tracking company for you. In fleet management, the choice of a specific vehicle tracking system, together with a suitable fleet management software, depends on the type of business, the size of the company, needs, and demands. A vehicle tracking system enables the improvement of the vehicle management through a number of functionalities, including immediate reporting of the fleet parameters. It is possible to have access to real time information about fuel level, speed, location, engine speed, average fuel consumption, driver identification, mileage and routes covered. According to the selected vehicle tracking system, your business can benefit from several functionalities. The main function of every vehicle tracking system is to collect data about the position of the means. The installed car tracking system provides real-time tracking or historical information on the vehicle location. At this point, fleet managers or customers can monitor the movement of goods or the distances travelled, the destinations reached and the routes covered by the means of transport, which enables efficient transport management system. Fleet tracking with a GPS vehicle tracking system will help you manage crucial elements, such as fuel information, fuel loss and consumption, CO2 emissions, refuelling locations. According to this data, it is possible to limit fuel costs, to optimize travel routes as well as to plan refuelling locations throughout the entire route. Fuel management is beneficial especially for long distance drivers and large fleets of vehicles, where fuel costs add up due to the length or the frequency of the journeys. Vehicle tracking systems can be used to plan routes and travel times for both short and long term distances. With GPS vehicle tracking devices, dispatchers get information about the exact location of every vehicle at any time, so they can plan routes efficiently. To easier for dispatchers, some GPS vehicle tracking systems can automatically locate the closest vehicles to any address or job site. Another feature of some GPS vehicle tracking solutions is to provide real-time traffic updates, which enable dispatchers to warn drivers for traffic delays and to redirect them to another route. Real-time traffic information increases driver’s safety and the security of the vehicle by allowing fleet managers to minimize the risk of toll roads or small streets unsuitable for large means of transport. Additionally, it helps to manage a proper time management software. A vehicle tracking system can optionally provide information about important parameters such as fuel amount and consumption, engine temperature, speed, vehicle maintenance and service. Engine diagnostics in vehicle tracking devices, for example, can ensure the longevity and safety of the vehicles. Implementing advanced analysis is possible through fleet management systems. To this end, a diagnostic reporting device is installed in the means in addition to the vehicle tracking system. Driving behaviour has a huge impact on fuel management, vehicle maintenance and road safety. Therefore, taking out driver policies in your company can be a smart decision. Vehicle tracking systems can collect data about driver’s performance such as speed, routes, timing and pauses etc. You can track if your drivers stick to the planned routes, if they make unnecessary stops and whether they respect speed limits. It is important that you take action to prevent employees from driving too fast or too slow because this can cost the company a lot of money in terms of fuel costs and speeding fines. Fleet management can thus greatly help you save a lot of money because you can eliminate all unnecessary fleet services which do not directly benefit the business and optimize your employees’ efficiency. Some systems provide periodical fleet management reports and graphs on vehicles performance and maintenance. This feature can save time for fleet managers who go through a big amount of data every day. Furthermore, information in graphs and charts acquired from fleet management systems will help managers in finding trends that might have been overlooked in the past. Data from reports and graphs can be accessed at any time. For this reason, it can be extremely useful for analysing and planning the overall fleet management strategy. When a security system is integrated into the vehicle tracking system, alerts and notifications can be set. If a vehicle leaves the planned route or moves without authorization, or in other undesired events, an alarm can be triggered. Vehicle tracking solutions with this functionality usually offer the possibility to define personal specifications for the boundaries and points on the map. In the event that these limits are crossed, the company will be informed with a special alert or through an immediate SMS notification system. In addition to the vehicle tracking and the alert option, some vehicle tracking systems give access to a remote control of the vehicle. So, functions such as blocking the engine and the doors in case of emergency can be implemented from an electronic device. Keep in mind that not every vehicle tracking system allows for the same level of functionality. Some suppliers may have a wider range than others. It is therefore important to ask about the kind of fleet management solutions that each supplier provides. If you need a GPS vehicle tracking system or simply more information about fleet management, complete a quote request on the right and for free. Our sales staff will help you find the best vehicle tracking system for your business. Vehicle GPS tracking costs may vary depending on the size of your fleet, the service you need, and the complexity you are searching for. 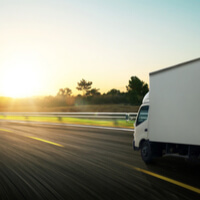 In the case of a larger fleet of vehicles or a more advanced vehicle management solution, a major investment is required, with physical tracking devices installed in each vehicle. Applications or tracking software installed on mobile devices such as smartphones or tablets might be sufficient if you simply need location and speed updates for small fleets with technologically savvy drivers. The cost of vehicle tracking systems can vary if you plan to rent, buy or lease vehicle tracking through a leasing company. Some vehicle tracking companies offer the option of a free trial, which will allow you to try different functions and find the best vehicle tracking system in the UK for your business. A vehicle tracking system, as suggested by its name, is a solution used for locating vehicles. It combines the installation of an electronic device in a fleet with vehicle tracking software, which then collects valuable data through GPS location. The device can either be wired into the vehicle's power system or self-powered thanks to a battery. There are also different types of GPS vehicle trackers that are hidden under the chassis and can be remotely activated. The technology used for tracking in almost every device is GPS-based. GPS vehicle trackers capture the GPS location information at regular intervals and send it to a central server. Via a cellular data service such as GPRS, the coordinates are immediately transmitted to the tracking company via GSM cellular network. All the information is downloaded and collected in the data centre, before being used by operators to check the vehicle’s overall performance. Customers can access the data on the company’s website, which enables them to track the delivery of their goods on a near-real-time basis. Vehicle tracking can be categorised into two main categories - active and passive tracking, depending on the time of data transmission. Active tracking provides real-time data about the location, speed and route of the vehicle. The information is transmitted via satellite networks to the computer center for further evaluation. Passive tracking is referred to the collection of data for the vehicle position and distance travelled over time. The device is then removed and accessed at a later time. Vehicle tracking systems can provide information from simple location updates to information about speed, the driver’s behaviour, fuel consumption and more. Depending on the type of vehicle that requires tracking - a car, van, truck, or a motorcycle, you might come across various types car tracking devices, van tracking devices, truck tracking devices, motorcycle tracking devices and much more. Even though vehicle tracking systems take a central role in fleet management, vehicle tracking is a broader topic that refers to various solutions including vehicle diagnostics, vehicle financing, vehicle maintenance, fuel management, driver management, speed management, and health and safety management. Fleet or vehicle tracking software refers to a software that collects and manages data about the location of vehicles. It gives you access to all the data relayed by the vehicle GPS tracking devices. This allows you to see where vehicles are, adjust their routes according to traffic conditions and receive updates and alerts about any issues concerning your fleet of vehicles. Fleet management software may handle various small and large business software solutions in relation to fleet tracking, performance and maintenance or financial management. 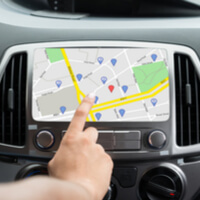 Tracking software can be installed in a tracking device such as a car tracker or can be downloaded on a mobile phone,laptop, tablet or computer. Data collection is possible through GPS technologies or mobile networks such as GSM/GPRS. Vehicle tracking devices in the UK use GPS satellite signals which is why most tracking software come with GPS technology, as it allows companies to track every vehicle and driver in real-time 24 hours a day. Not every business needs to have strong technical knowledge in order to implement fleet management systems in its operations. For this reason, it is important for vehicle tracking companies to provide a software that is user-friendly and allows a simple navigation of the tracking system. This will ensure the accuracy of the information obtained about the location of the vehicle, the distance travelled, and the time taken to accomplish the journey. The difference between passive and active vehicle trackers is the way of receiving the data collected on the device. Passive vehicle trackers save the information on the device, which needs to be downloaded later. Active trackers send the information in real-time to a server and do not need to be downloaded. Information sent from active trackers can be accessed from a software programme. GPS data loggers can be considered as passive vehicle trackers and have the advantage of being a less expensive solution with an easier installation. Data pushers are active trackers and 'push' the information to a server. Data pushers tend to be a more expensive solution as they usually have more functions and benefits, however, for some companies this solution might be more cost-effective. The installation of such solution is more difficult, as it is has two components and therefore usually requires a professional help. The least common type of vehicle trackers are data pullers. Data pullers collect information just like other types of tracking devices, however, do not actively send the information. The information can be 'pulled' from this device anytime it is needed and therefore this device is always on. The vehicle tracking system inevitably belongs to fleet management. In its most basic function vehicle tracking systems collect, and depending on the type of device, also send information on the whereabouts of the vehicle being tracked at a given time. That is, however, the most basic function and vehicle tracking system can bring more benefits for a company if the right type of device is chosen. Data pushers and GPS data loggers are the most common types. Data pullers can be useful for certain companies, however, it is a less common solution. Types of devices can be further divided into passive and active. What are GPS Data Loggers? GPS data loggers, as the name suggest, collects and saves information, which can be later downloaded and retrieved. Typical information that GPS data loggers collect are information on directions and routes taken, speed, stops and idle time and, the most common function - location and time information. To collect the information from a GPS data logger the device needs to be removed from the vehicle or asset being tracked. However, modern GPS data loggers have a memory card slot or a USB slot, to make the transfer of data easier. Among the advantages of GPS data loggers is the fact that a fleet solution with a GPS data logger is less expensive. Due to the fact that the device needs to be removed and relocated often, the installation, as well as the removal from the vehicle or an asset, is easy. Data pushers, on the other hand, collect and send the information in real-time. These devices tend to be more expensive as they offer far more functions and types of information than GPS data loggers. Installation is more difficult, as solutions using data pushers include two components - hardware, that is hardwired into the vehicle and is harder to remove and software, that allows the company to access the data sent from the hardware. Some companies are willing to pay the higher price of data pushers and the whole system due to information and functions that these solutions have to offer. Those functions include fuel management, location tracking, alerts and notifications, theft prevention, drivers and vehicle performance, reports and analysis of these reports and more. Every device offers different functions, however, the above-mentioned functionalities are the most common and most popular. There are many companies offering special functions in their vehicle tracking system and it is therefore needed to thoroughly look through different offers if your company is looking for a special function. The least common type of tracking device is a data puller. This device is always on, collecting and saving information, which can be retrieved (pulled from the device) anytime. This type of device is used when detailed information is not needed in real time and accessed anytime, but available whenever the data is needed. What Do We Mean by Active Vehicle Trackers? Tracking devices can be further divided into active or passive vehicle trackers. Active trackers collect and send the information collected in real-time. Data pushers can be considered as active tracking devices. These tracking devices and whole tracking systems are a more expensive fleet solution, however, offer many advantages. The advantages are brought by functions, which are already mentioned above. Having access to information from active trackers can lead to more effective business, however, the cost-effectiveness of these solutions for every company is in question. Installation of these devices and the systems can be more difficult and might require professional staff. What is a Passive Vehicle Tracker? Passive trackers, on the other hand, collect and save information to be later retrieved. GPS data loggers can be considered as passive trackers. Passive trackers collect the basic information but have the advantage of lower price, easy installation and the possibility of hassle-free relocation to any other vehicle/asset. If you are looking for professional help in the UK and compare vehicle tracking prices, please fill in the form found at the top of the page. Our suppliers will provide you with free quotes and will guide you in your choice of the perfect vehicle tracking system for your business.